BANGKOK — Thailand's election Sunday is likely to produce a weak, unstable government whether it's a civilian or military-backed party that cobbles together a coalition, setting off a new phase of uncertainty in a country that's a U.S. ally in Southeast Asia and one of the world's top tourist destinations. 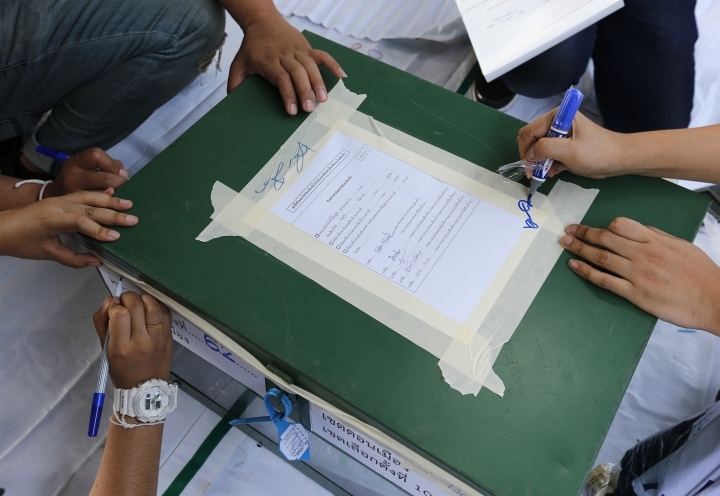 The election is Thailand's first since its military seized power from an elected government in May 2014. It was the conservative establishment's third major attempt by either military or legal coup to eradicate the influence of former Prime Minister Thaksin Shinawatra, a tycoon who made his fortune in telecommunication and upended Thailand's politics with a populist political revolution nearly two decades ago. "It will be unstable," said Prajak Kongkirati, a political science lecturer at Thailand's Thammasat University. 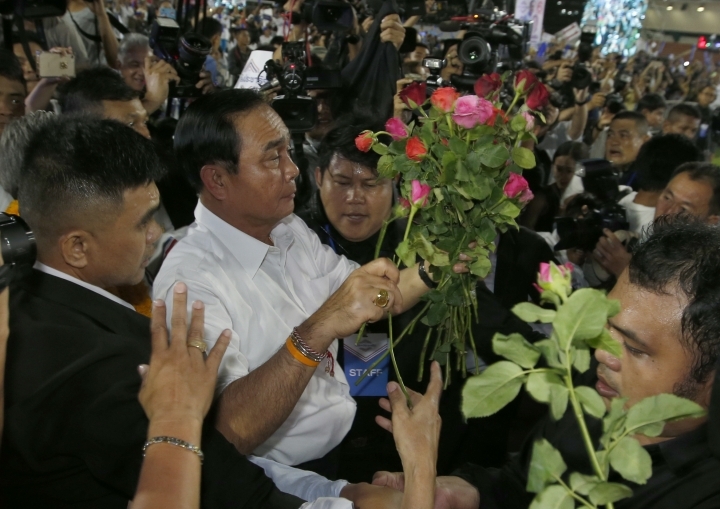 "Whatever party wins, Prayuth or Thaksin's side, both governments will be weak and unstable. The government can collapse within a year or a year and a half and we might have a new election quite soon." Prayuth's five years as junta leader have been marred by complaints of human rights violations and growing economic inequality. 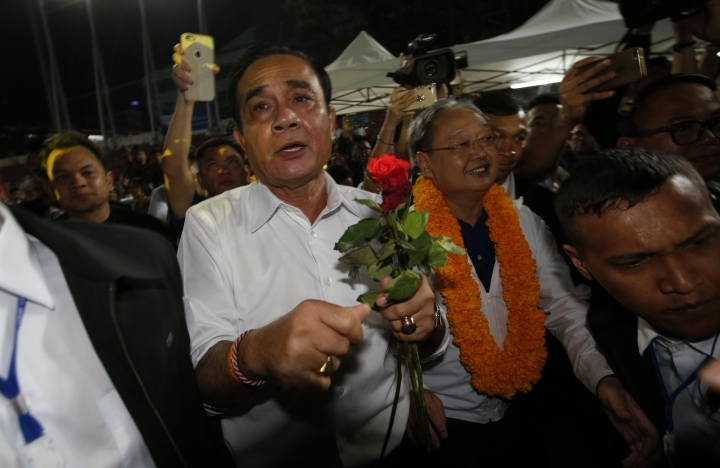 Thailand's ties with the U.S. cooled because of the coup and Prayuth is seeking greater international legitimacy with an election meant to provide the appearance of a return to democracy. If the junta had one success, it was reinforcing its claim to be the protector of Thailand's monarchy, an institution at the heart of Thai society, following the death of King Bhumibol Adulyadej in 2016 after a reign of seven decades and the succession of his son Maha Vajiralongkorn. Critics say the new military-designed political system is intrinsically unstable because it is not accepted by all sides and will be the beginning of a new round of struggle in Thailand. The country's prime minister will not be directly elected by its 51 million voters. Instead, 750 lawmakers — 500 from an elected lower house of parliament and 250 from a junta-appointed Senate — will decide by simple majority. The prime minister does not have to be a member of parliament. None of the major political parties is likely to have enough elected lawmakers to choose a prime minister and form a government outright. Chaotic outcomes, such as a military-favored prime minister chosen with Senate backing who lacks a majority in the lower house, are possible. 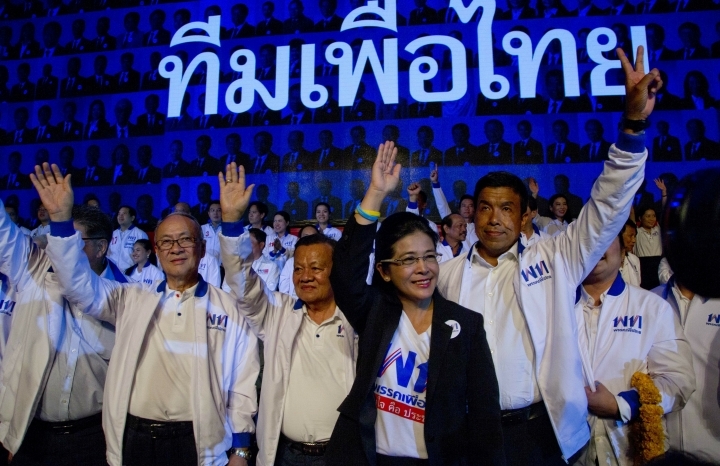 Sunday's vote is the latest episode in a sometimes violent political struggle that pits Thaksin's political machine against a conservative establishment led by the ultra-royalist military. Thaksin swept to power in 2001 with social welfare policies aimed at uplifting the majority rural poor. He has lived in exile since being ousted by a 2006 military coup and accused of abuse of power, corruption and self-enrichment. Some saw him as disrespectful to the monarchy. 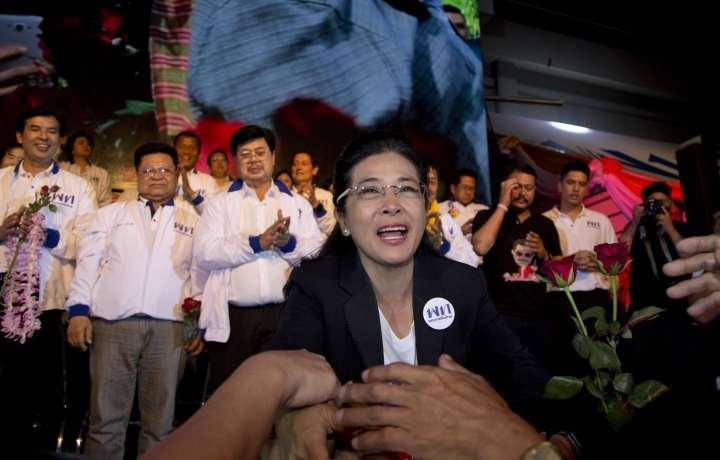 The 2014 coup ousted the government that was led by Thaksin's sister Yingluck Shinawatra, who was the head of the Thaksin-allied Pheu Thai party at the time. On Friday, Thaksin hosted a glittering wedding reception in Hong Kong for his youngest daughter, causing a sensation and substantial media and online coverage in Thailand. Guests included the Thai king's sister Princess Ubolratana Mahidol, who last month made a spectacular but quickly aborted attempt to be a prime ministerial candidate for a small Thaksin-allied party. Though ostensibly a family affair, the ceremony's timing two days ahead of the election seemed to implicitly say: Don't forget me and my political allies when you go out to vote. 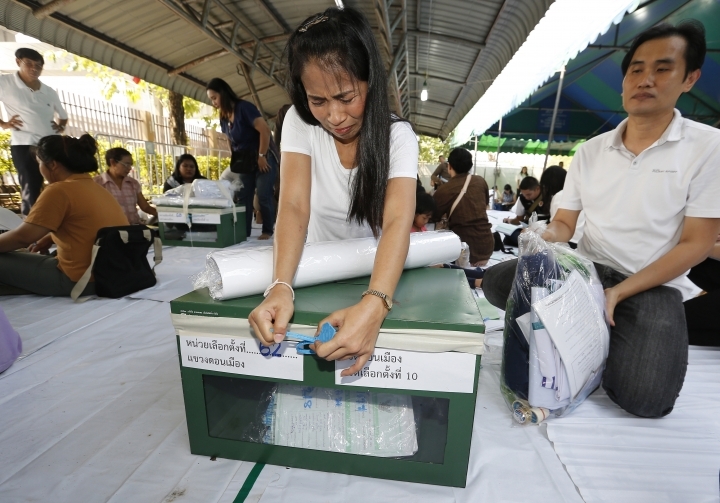 The Pheu Thai party remains broadly popular, especially in the country's north and northeast, home to the majority of voters, and its current leader, Sudarat Keyuraphan, has urged all Thais to vote, hoping a high turnout will derail Prayuth's plans to stay in power. 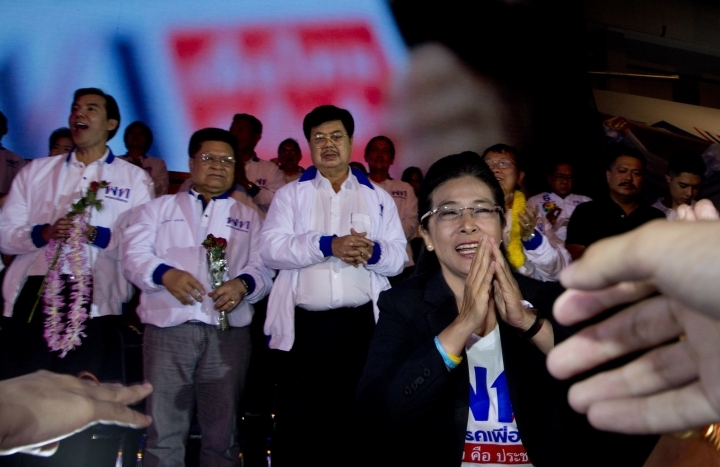 "Regardless of the election result, it is unlikely to put an end to Thailand's protracted political crisis," he said. Associated Press writers Grant Peck and Kaweewit Kaewjinda contributed to this report.